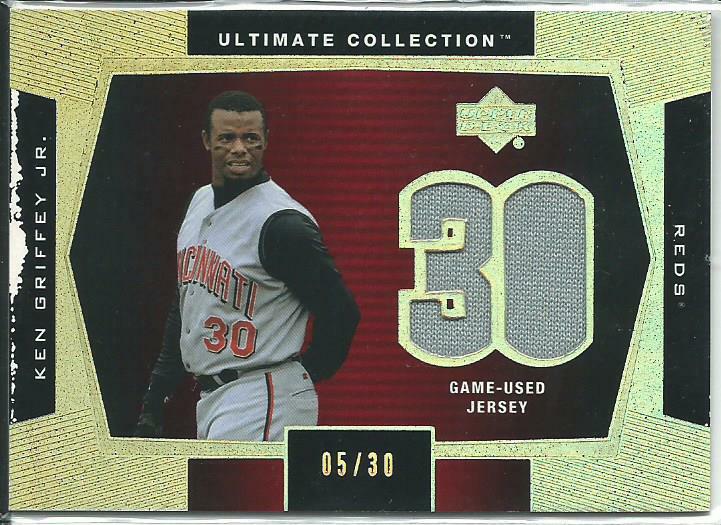 Today’s card comes from 2003 Ultimate Collection Baseball, a game-used jersey relic. 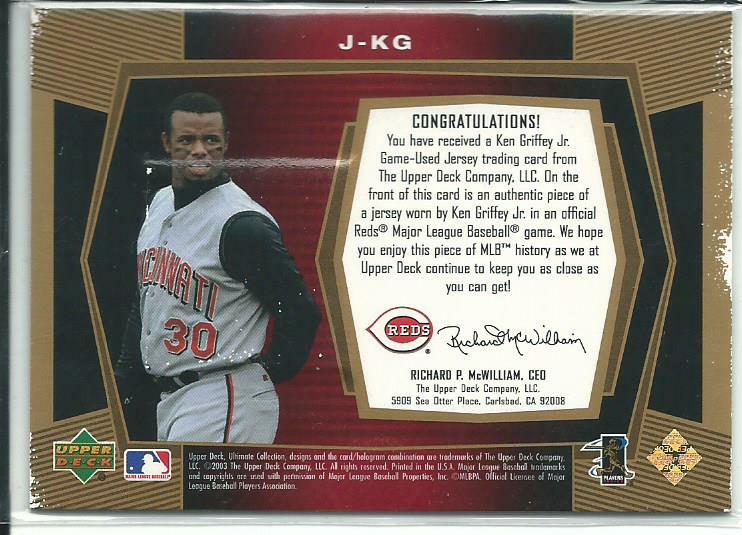 This was form the time when the guarantee on the back actual said game-used, something seriously missing in today’s relics cards. I picked it up because it is a birthday card for me #5/30 and because the card is chipped along the sides on both the front and the back I got it for an insanely low price. 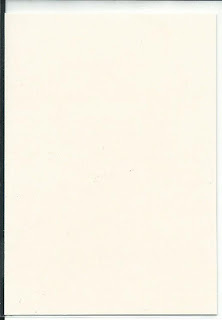 This is the first birthday card and I hope to add additional #5/30 birthday cards as I can. Today’s card comes from an unknown product. It is from a fellow blogger, Tanner from 6,000,000 Cards and Counting. 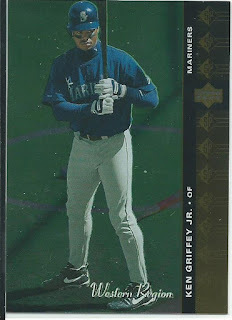 It was not in a trade but through his eBay offerings. 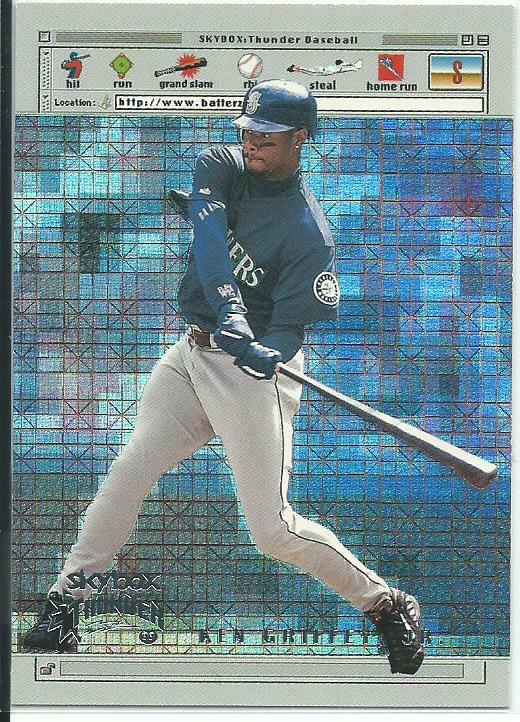 The card is apparently a test card from Leaf in 1992. The image is from the 1992 Leaf Preview #24 card but the back is blank. 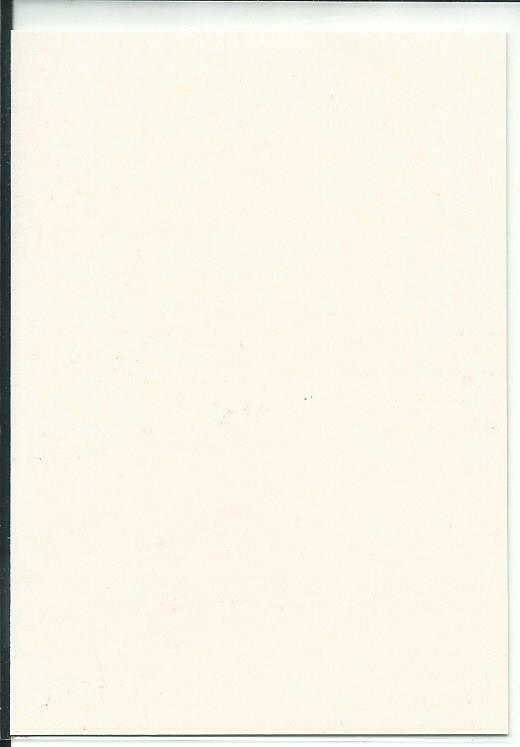 The card came from an uncut sheet that had a handwritten note along the bottom saying “Printcote 92 Sample” along the bottom of the sheet. 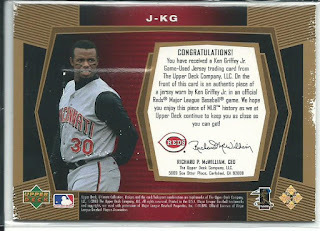 Normally I would stay away from something like this but I do know Tanner through his blog and I trust him on this card being a test sample of some sort. 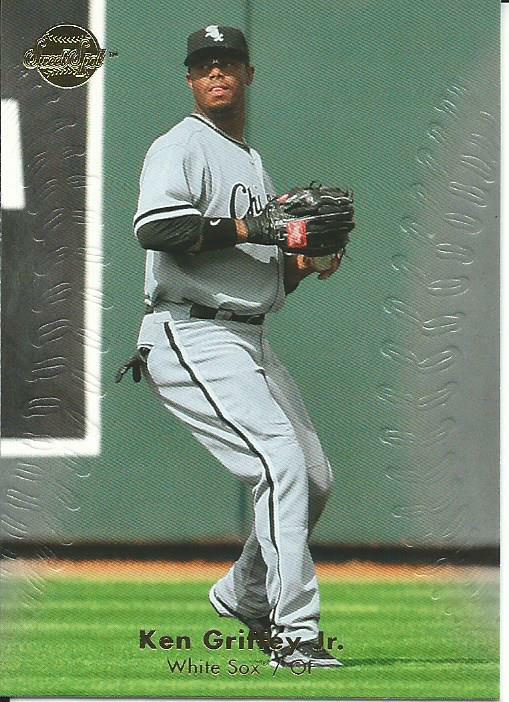 Looking back through the cavalcade of Griffey card posts and I realized I was missing any cards of The Kid from his 41-game stint with the Chicago White Sox in 2008. 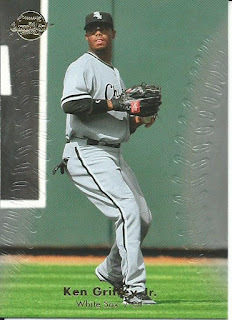 There were not many cards of him from his Chicago days but Topps and Upper Deck were able to work him in to their late season sets. 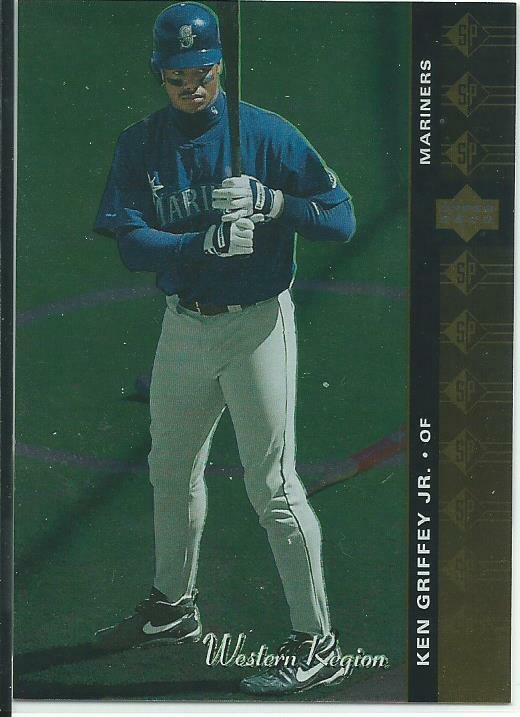 In 1994 Upper Deck did something different with the release of 1994 SP baseball, they released certain cards in a specific region along with the base set. 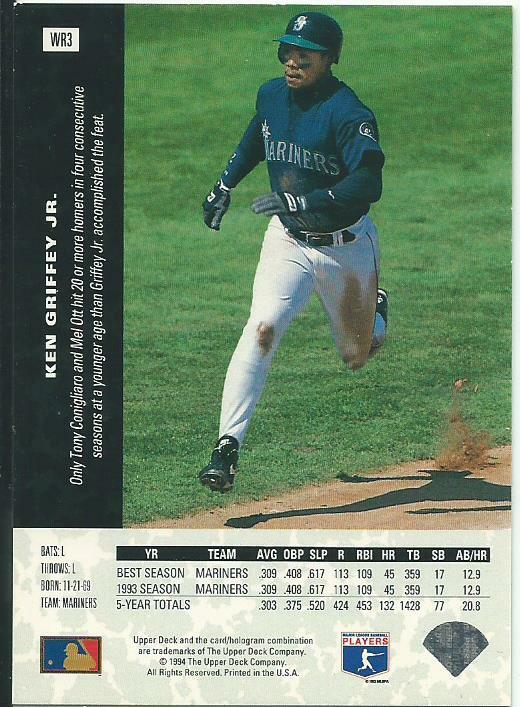 There were East, Central and West region releases, so there was a base Griffey card #105 but there was also a West Region exclusive card only released in the West, card #WR3. The card was similar in design to the base card but used a different image and has “West Region” across the front. Today’s card comes from the turn of the century. 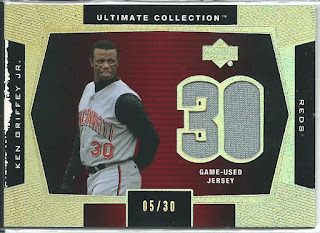 Those crazy 1990s gave us some wacky cards and with the internet becoming more accessible to the average collector card companies wanted to take advantage of the big technological advance. There were cards that were actually CDs that could be inserted in to your IBM compatible computer CD tray and Skybox went the route of creating an insert based on what the average website looked like on the Google machine. 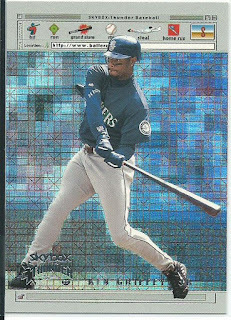 The 1999 Skybox Thunder www.batterz insert was unique and I dig the card because of it. 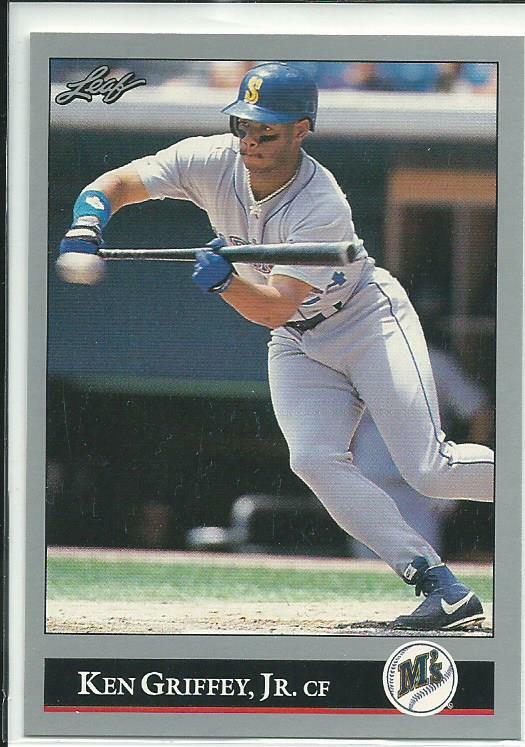 I always liked those inserts from the 90s so this is one of those cards that I just had to have. You have to love the wicked use of "z" on batterz, very hip before it was cool.